Florida Gov. Ron DeSantis on Wednesday endorsed a continued freeze on tuition rates at Florida’s public universities. Keeping the tuition at a stable price has been good for Florida, DeSantis said, and he has no plans to change existing policy. Florida is one of only five states to see a decrease in overall tuition prices in the past five years, according to College Board. Florida specifically has seen a 7 percent decrease in tuition rates since 2014 — the second highest decrease in state tuition behind Washington. “Right now, we have a top-10 university that you can go to without being in debt for the rest of your life,” DeSantis said, citing the successes of the University of Florida, which is tied for eighth on U.S. News & World Report’s list of the top 10 public universities. 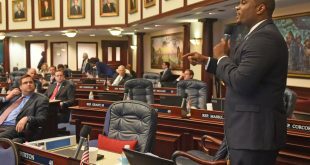 While DeSantis praised this low cost, freezing tuition has proven to put additional pressure on schools when public funding is already subsidized by the state. Towering above Tallahassee on the 22nd floor of the Florida Capitol in press conferences by top legislative and executive officials, DeSantis also discussed improving water quality and tightening gun reform among other statewide issues he plans to tackle throughout his term. After Tuesday’s announcement that the budget will include $625 million for water projects, DeSantis said he aims to clear out the South Florida Water Management District board members and start fresh. As of Wednesday morning, 7 of the 9 board members have either tendered their resignation or expressed their intent to do so, DeSantis said. Following a discussion on limiting water discharge and ensuring that Lake Okeechobee is cleaned, DeSantis boasted the new appointment of Hispanic justices, a historic moment in Florida law, he claimed. The color of a judge’s skin doesn’t matter when the law is meticulously considered and followed. “If you’re right on the law, you’ll win. If you’re not, you won’t,” DeSantis said. DeSantis believes this is the first time in Florida’s history that multiple Hispanics have been appointed to serve on the Supreme Court at the same time, he said. However, not every legislator agrees on the diversity of the state Supreme Court. Kionne McGhee, Democratic House Leader, called for increased representation of African Americans sitting on the Supreme Court. 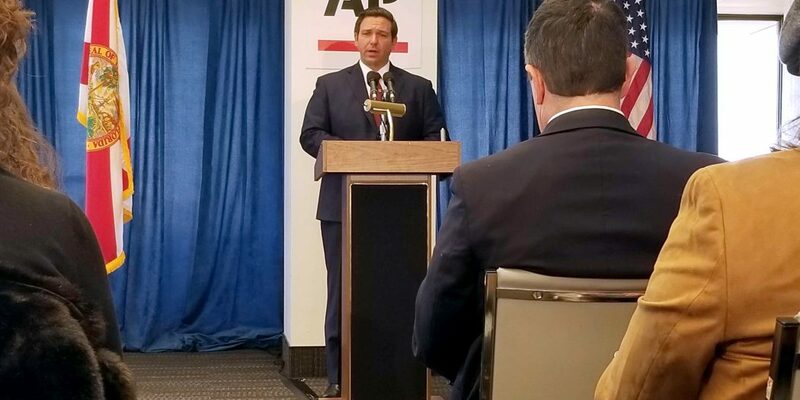 DeSantis also discussed the gun permitting process and the importance of stricter background checks following the Tuesday arrest of UCF student Max Chambers for possession of a modified AR-15 as reported by the Orlando Sentinel. Chambers, who had no permit for the AR-15, was arrested by campus police. Florida’s new agriculture commissioner, Nikki Fried, said she is close to announcing a new cannabis director in her agency who will help regulate the state’s medical marijuana industry. Fried said she had interviewed a handful of candidates but wouldn’t disclose even who were among her top three choices, much less who might actually the job. She also proposed a new state program to provide free breakfast to every public school student – delivered to their desk each morning to reduce any stigma from visiting the cafeteria among classmates who qualify for free or reduced meals – but acknowledged she did not know how much this would cost taxpayers. She said a new advisory committee would study new farming techniques used in Israel, Canada and other countries that might be adopted in Florida. Florida House Speaker Jose Oliva spelled out the two priorities for the House this session: healthcare and education issues. He emphasized fighting monopolies in healthcare in order to lower overall costs, rather than expanding Medicaid. Florida needs legislation that will allow the state to investigate price gouging and determine the most affordable ways to treat patients, Oliva said. “The price of something routine, like gallbladder surgery, continues to go up more than some sort of surgical procedure,” he said. Allowing competition will solve it, he said. 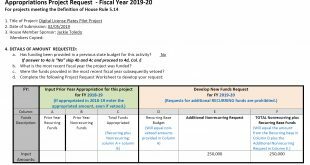 Oliva noted the need to specify higher education funding to “performance” costs rather than general funding to grow institutions to cut costs and lessen student loans. “When they focus on growth, students become a balance sheet item,” he said. 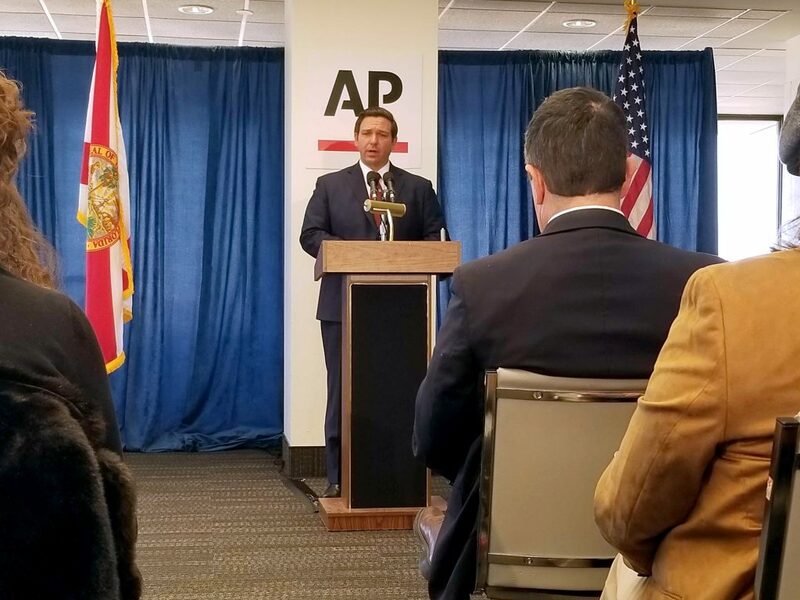 Florida Senate President Bill Galvano began his press briefing by laying out his three biggest priorities for the upcoming legislative session: Highway infrastructure, school safety and gambling. Galvano wants the infrastructure and securities committee to put forward plans to extend the Suncoast Parkway to Georgia — a plan similar to the Coastal Connector — and another project that would run from Polk County to Collier County. The plans have been brought up in the past and faced opposition from advocacy groups like the Sierra Club, but he said he believes these projects would benefit rural communities and are worth pursuing. “I believe it is a good idea, and we need to have this infrastructure, but we also need to have access to our rural communities,” he said. The Senate president said his hope is to leave this session with a meaningful plan, timeline and funding figure for the projects. He added that he is not opposed to using bonding to fund the projects. The next priority Galvano outlined was school safety. 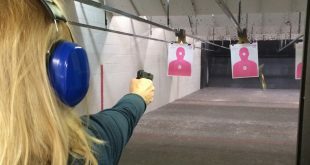 A committee formed during the 2018 session in the wake of the Parkland school shooting recently came out with a list of recommendations, and Galvano said the Senate will consider all of them. “We intend to take those recommendations seriously,” he said. Galvano also spoke of the Seminole Compact and gaming in the state. Specifically, he said he thinks there is an opportunity for sports gambling in Florida. “It’s an activity that’s occurring — just not regulated — and we’re not collecting or sharing revenue from the activity,” he said. Galvano briefly spoke about environmental problems, with an emphasis on red tide outbreaks in the Gulf Coast. He said he still needs more scientific data in order to come up with a solution to the problem. “It’s time to collaborate to look for solutions,” he said. Healthcare is the top priority for the Democratic leaders in both chambers. Both state Rep. Kionne McGhee and state Sen. Audrey Gibson named Medicaid expansion among the Democratic caucus’ focal points this legislative session. Strong opposition from DeSantis as well as House and Senate Republicans like Oliva will make it difficult for any such legislation to stay afloat. 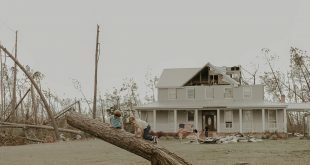 While Republican leaders zeroed in on increasing infrastructure, Gibson urged them not to forget about other issues plaguing Florida, including water quality and the effects of climate change.